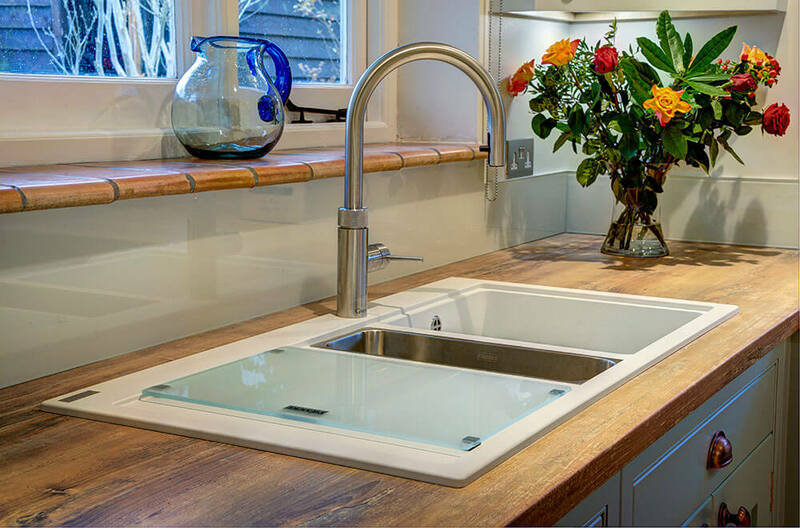 The client wanted to update her kitchen while retaining a country-cottage feel. 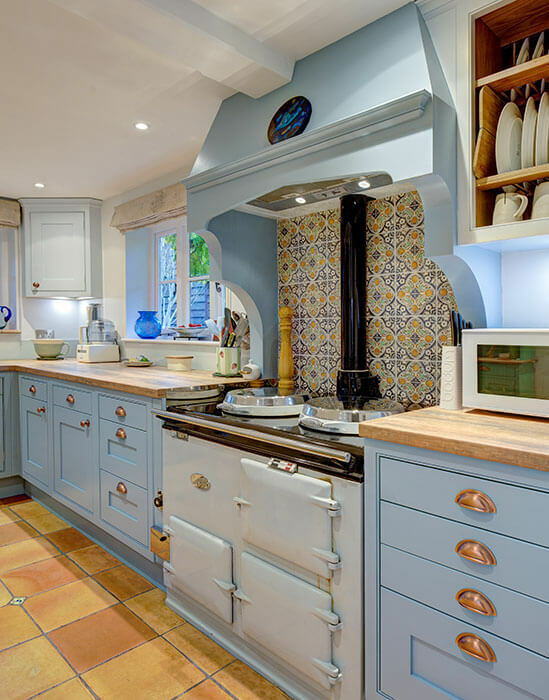 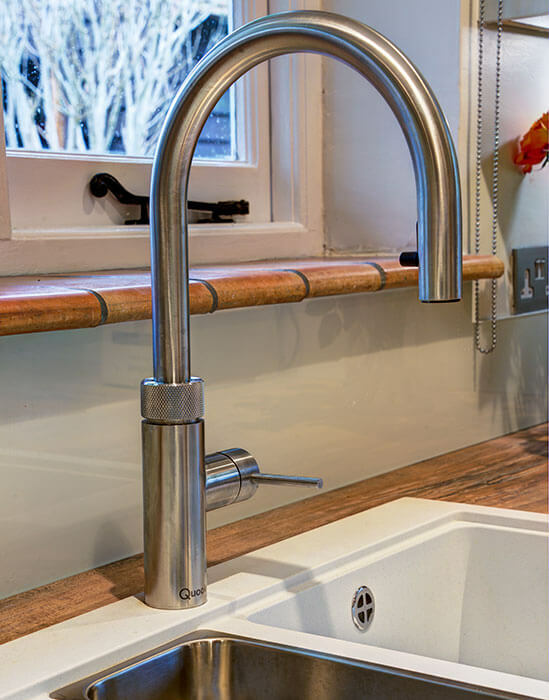 The design had to incorporate the Aga, with its stunning tiled backsplash, a beautiful traditional American fridge-freezer and a large dresser. 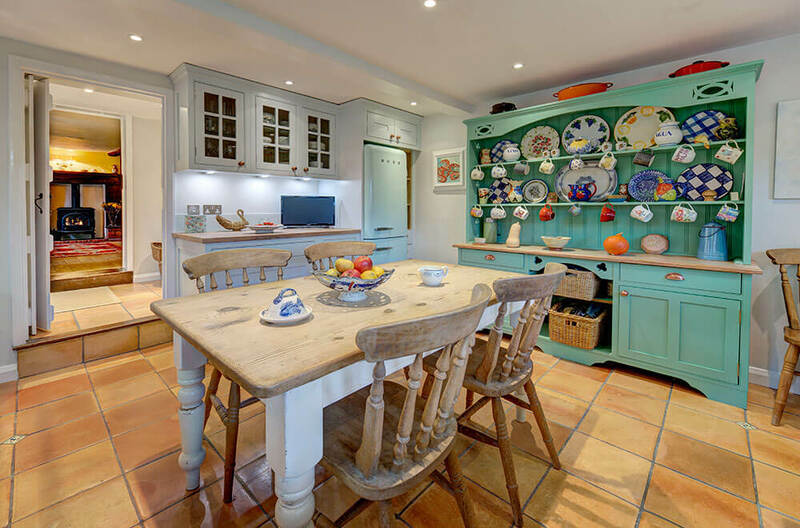 The soft greens and blues of this inviting hand-painted Waterford kitchen were borrowed from the Aga’s backsplash tiles and reflect the client’s artistic and colourful personality.